Well known as a superb Wedding Venue in the Cape Winelands, the Grande Roche banqueting team enjoy nothing more than hosting a grand wedding. Ensuring that everything is well organized, they pay special attention to each and every detail to make your special day seamless and memorable! The wedding ceremony can be held in the hotel’s 300 year old chapel and conducted by a local minister. The intimate chapel has been carefully restored and is the perfect setting for quiet meditations or romantic wedding ceremonies. The quaint venue seats eight people, but a maximum of 14 guests can be accommodated with additional chairs. There is a scenic open area directly outside of the chapel, with beautiful views of Paarl Mountain and the Paarl Wine Valley, which can accommodate a further 45 guests. 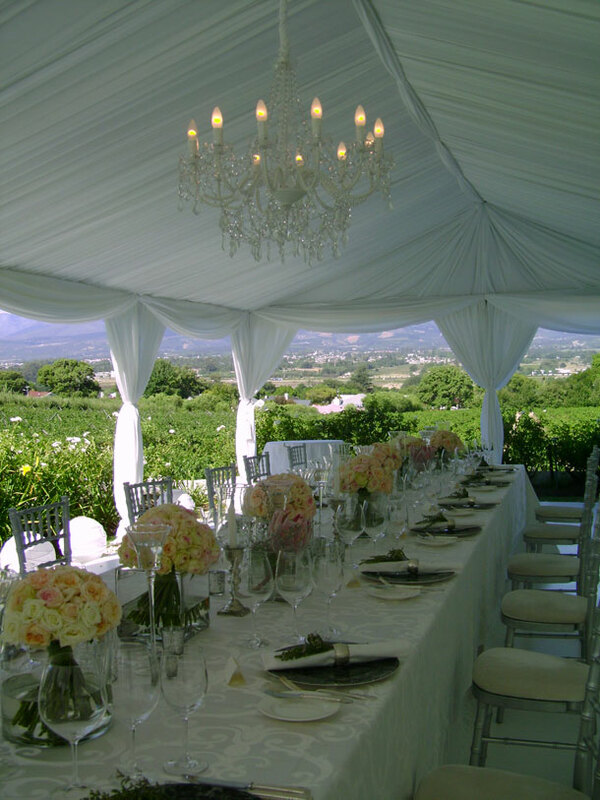 Bosman’s Lawn is used for larger wedding ceremonies and can accommodate 120 guests. The lush, magnificent lawn is situated beside the Manor House and boasts spectacular views of the Drakenstein Mountains. 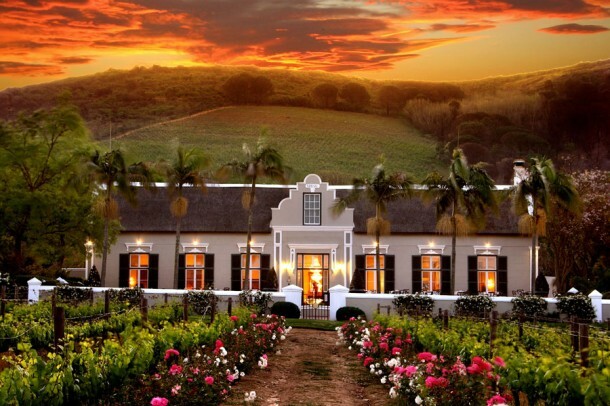 The Vineyard Venue Banqueting Centre is surrounded by vineyards and plum orchards and is situated alongside the award-winning Bosman’s Restaurant and Grande Roche Hotel. This 5-star hall and amphitheatre, which seats 350 people, can be transformed to accommodate a larger wedding. The venue is roughly 200 square meters and can be divided into three equal sections with seating for 10 to 200 people, depending on the setup. To find out more about hosting your Special Day at Grande Roche, contact Reservations on telephone +27 (0)41 407-1000 – they will put you in touch with the banqueting team. Also See Grande Roche for more info and photographs.